So what do you get when you have left over hotdogs, rice and zucchini? An hour wasted trying to come up with a creative meal name. It turns out there isn't really anything you can call leftovers but leftovers. But on a positive note, if you add a little BBQ sauce to the mix, you get a pretty decent meal. Saute the zucchini in a medium pan until cooked most of the way through. 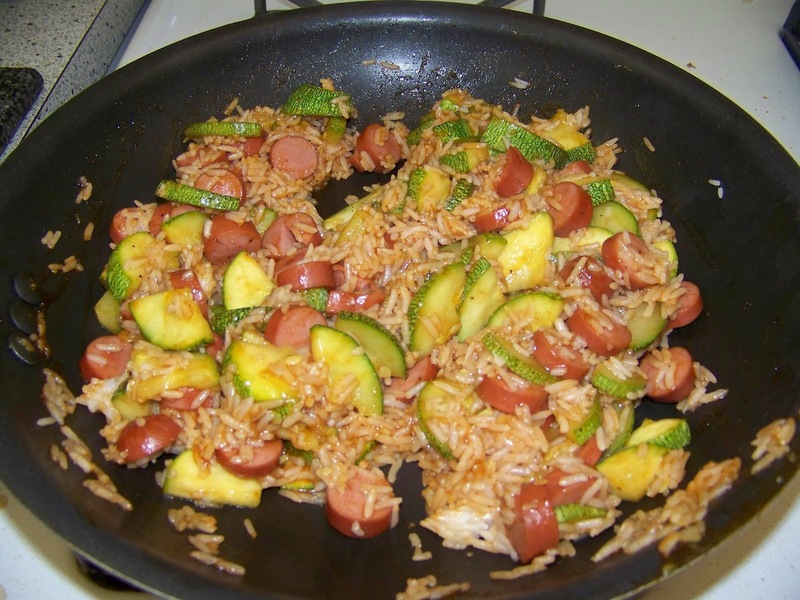 Add the hot dogs and rice and keep stirring until the hot dogs are heated. Add the BBQ sauce and stir until everything is coated and remove from heat. Serve hot and Enjoy!